Less than 27 hours after launching her official Facebook Page, Bristol Palin already has 1,000 friends. The milestone was achieved September 22, 2010 at 1738 (5:38 PM) EDT. Bristol, who is Gov. Palin’s eldest daughter, launched her page on Tuesday, September 21 at 1442 (2:42 PM) EDT. She is a contestant on Dancing with the Stars, and an advocate against teen pregnancy for the Candies Foundation. Bristol is enroute to Alaska with dancing partner Mark Ballas to rehearse and show him the state. She was interviewed on Alaska’s Bob and Mark Show with Ballas 45 minutes before her flight departed, and on last night’s show with Gov. Palin. Her performance of the Cha-Cha-Cha with Ballas propelled Bristol to the Week Two Round of Dancing with the Stars, which airs Monday, September 27, 2010. When Ronald Reagan won the presidency in 1980, he was not the historical giant we read about today. He was a former governor who spent the Carter years doing everything he could do to convince the American people that he was not an extremist. He gave speeches. He did radio spots. He wrote op-eds. Most of all, he spent the time becoming the “anti-Carter.” His stinging rhetoric about the Panama Canal and arms control would dog Carter much the way as Sarah Palin’s has dogged Obama on spending and health care reform. Analysts and pundits will spend the next two years (assuming, which I do, that she runs) pulling brain muscles and performing mental gymnastics to figure out where Sarah Palin is going to pick off those 10 or so percent of people who consider her “unfavorable” that she would need to win a general presidential election. I’d like to save these people some time. First of all, the 2012 presidential election will be won in the GOP primary barring some unforeseen event that causes Obama to become popular again. Whoever wins the 2012 Republican primary will be the president for the same reasons I lay out below. However, 76% of Republicans and 52% of unaffiliated voters now hold a favorable opinion of Palin. Fifty-nine percent (59%) of GOP voters said in November 2009 that Palin shares the values of most Republican voters throughout the nation. At the same time, 74% of Republicans said their party’s representatives in Congress have lost touch with GOP voters nationwide over the past several years. Palin is not picking up in the area I knew she wouldn’t pick up in. It’s the area of what I call “the Kool Aid drinker vote.” The 31% unfavorables? Forget about them. Reagan made it through two terms with similar numbers. The independents and the moderates? There’s where you will see a swing. They are beginning to see that their “hopey changey” thing isn’t working out. While they won’t be lining up at Team Sarah anytime soon, you can rest assured that even though these folks are beginning to realize that the media lied to them and that Sarah Palin is not the monster she has been portrayed at, their vote is not going to be contingent on whether or not they find Palin favorable, but whether or not they dislike Obama more. Ronald Reagan did not win over the people he needed to win until a couple of weeks before the election. It was the “there you go again” quote that convinced Americans that he could do it. This was not a groundbreaking steal from the pool of Carter supporters. There were about 10% of the electorate who were fed up with Carter who were just not comfortable enough yet to pull that lever for Reagan. They didn’t need to think he was the second coming. They just needed to feel comfortable enough with him to nervously hand him the presidency due to the lack of a better alternative. This may sound cynical, but Sarah Palin will not become the president because everyone is as nuts about her as we are (although having the army she has will help her with her ground game just as it did for Reagan). She will become president because Obama has botched the job so badly that even the non kool-aid drinkers today who shake their head and go “ahhhh, I don’t know about Palin – maybe Romney or someone else…” will vote for her. They will vote for anyone who runs against Obama. Palin should maintain these Rasmussen numbers into 2011. She is only strengthening the public’s view of her with her speeches and her continued leadership in the Tea Party movement and the Republican party, when that leadership is accepted and not rejected by party elites. This bodes well for her. There is still a lot of work to do. Her numbers are not there yet. But in two years, she has fought an incredible battle against a mainstream media and political elite class that has been trying to destroy her since day one. It’s not an issue of concern that she still has not forged ahead of Obama in head to head polls. In fact, it’s encouraging that she has been closing the gap and that today, at just the halfway mark, she has cut Obama’s Lead in Half And Has Effectively the Same Negative Rating as Obama and Net Favorable Rating as Biden. So let me once again save the analysts some time. Reagan was far from a lock at the halfway point either. Brices Crossroads on Free Republic helps me out with some numbers in his response to my Liberty’s Lamp article about this subject back in April. If you want to know what Sarah Palin is doing, just study Reagan’s playbook. She is following it like it was a cook book or the directions for building a house. Everything she has done so far parallels what Reagan did between 1976 and 1980 (Reagan did not have the internet and social media – so this is one area that may help her reach that “there you go again” moment long before there is two weeks left until election day). Other than that, it’s pretty boiler plate. Palin may be an outside the box thinker, but she knows how to read the directions. The key is going to be in the intangibles. Just as Reagan had to beat a “Kentucky Derby” sized field to win the nomination in 1980, so will Palin. We all know the story about the plans of mice and men. And in living our lives, we have become well acquainted with Murphy and how monkey wrenches work. Therefore, there can never be a guarantee. There is no sure thing. But should Palin stay her course right now and keep heading like a sailor who uses the North Star to guide her, she is Ronald Reagan in 2012. It will be up to her to put together an effective campaign. It will be up to God to make sure that a Howard Dean moment or a Macaca moment isn’t framed into the timeline by the fickle finger of fate. It will be up to America to listen to her and open their hearts to her. Many strange things have happened before in politics. But right now, on paper, Sarah Palin has the best shot of winning the presidency she has ever had in her life. Those odds may continue to go more in her favor as time marches on for “the one” for who the bell of liberty tolls. Allow me to use rough numbers for illustrative purposes since we are still so far off from the primaries. 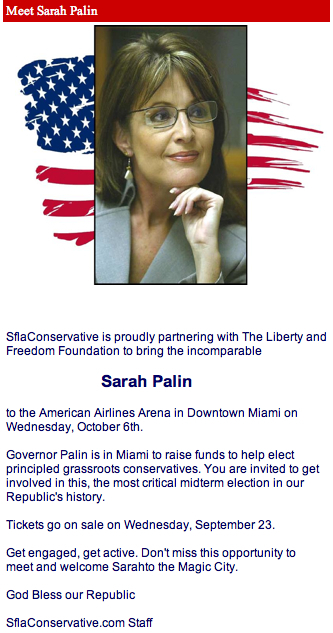 She will take about 25% of the vote because of the “crazies for Palin” (h/t to Karen Allen for coining that phrase). Another 15% of her support will come from the supporters of the other primary candidates. She will go into the convention with about 40-45% of the people supporting her. The rest of the people who vote for her will be voting against Obama. When Reagan won his first term, the people voted against Carter. When Reagan won his second term, the people voted for him. 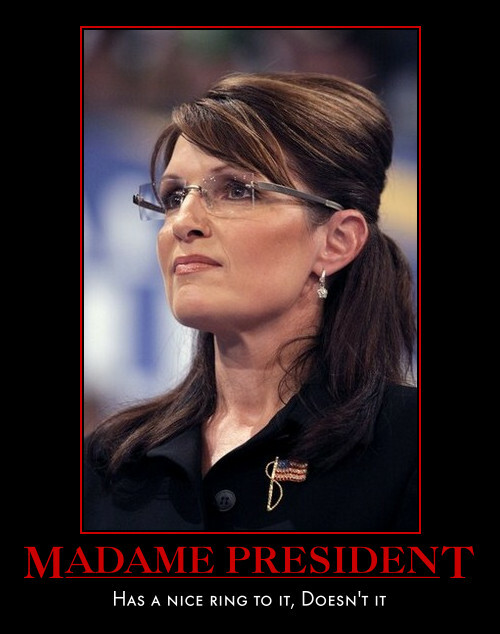 Like with Reagan, it will not be until 2016 that American will realize how great Sarah Palin really is. For those who worry about Sarah Palin’s foreign policy experience, whether she is too polarizing or how the media effect on her image will make it impossible for her to overcome her unfavorables, don’t sweat it. We’ve been there before and it turned out just fine. 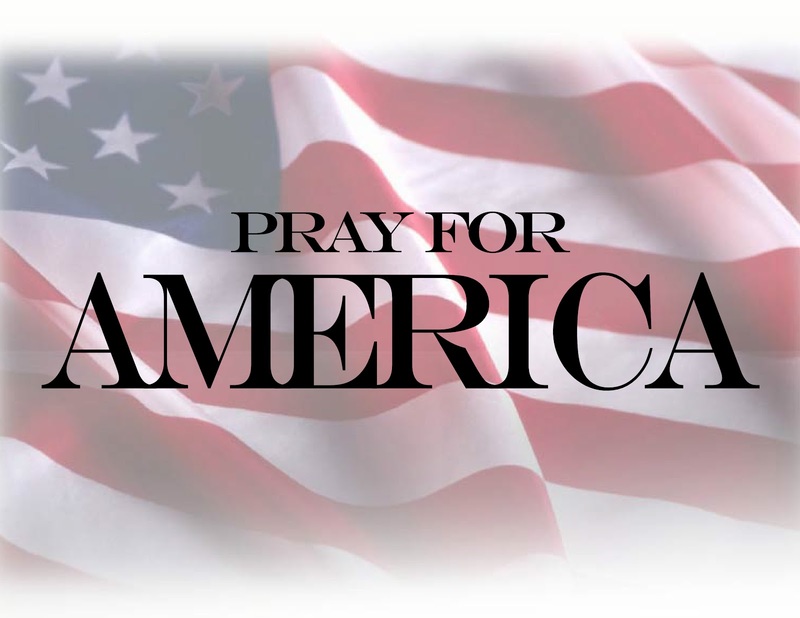 –please visit my blog Patrick’s World USA and listen to my Blogtalk Radio show. Bristol Palin launched her official Facebook page yesterday. In less than 24 hours, she already has over 800 followers! Let’s push this up past 1000 today! Then we can raise the bar again after that goal is achieved! Both Bristol’s official Facebook page and the Dance Bristol Dance fan page set up by friends have lots of photos and videos and other interesting posts. Visit both of these pages and keep up with Bristol’s DWTS activities as well as her upcoming speaking engagements and other events. 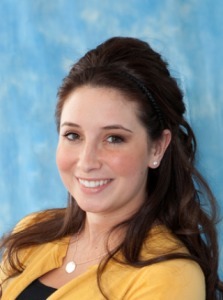 Bristol Palin today discussed Dancing With the Stars on the Bob and Mark Show. Sfla Conservative, a local Tea Party group, says its “proudly partnering with The Liberty and Freedom Foundation” to bring the former Alaska governor to the American Airlines Arena Oct. 6 — five days before President Barack Obama comes to town to raise money for imperiled congressional Democrats.